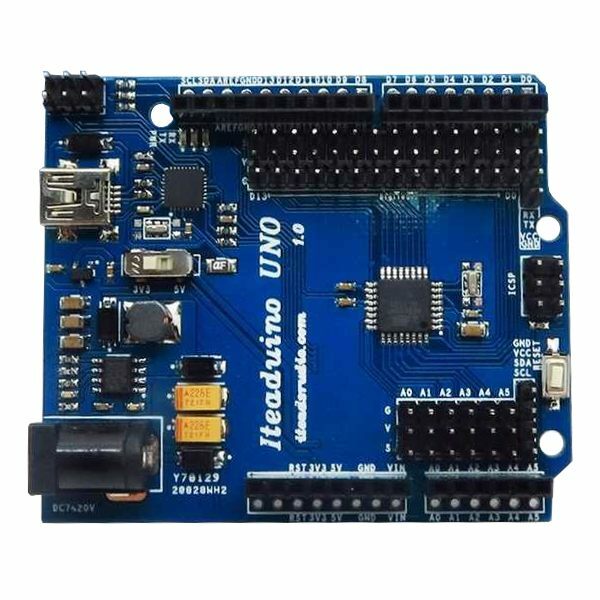 The Iteaduino Uno is an Arduino compatible microcontroller that features extra pin headers, selectable 3.3 or 5V operating voltage and a mini USB connector. 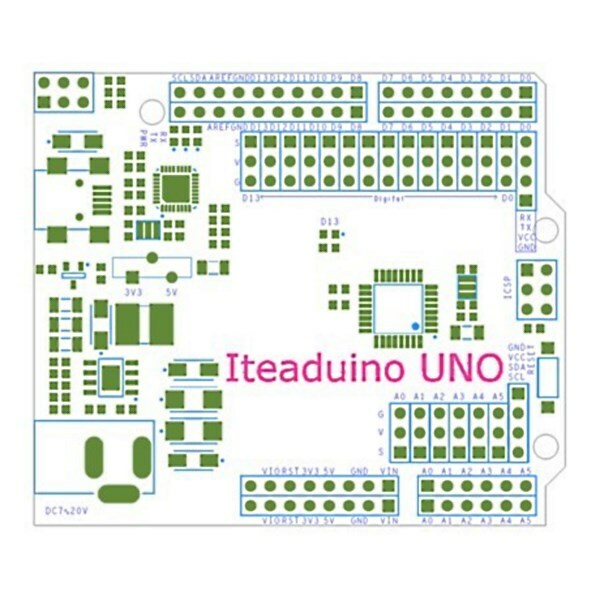 The Iteaduino Uno microcontroller is compatible with the Arduino Uno and provides a number of useful features. It uses an ATMEL ATmega328 for the main processor and an ATmega8U2 for handling USB. This microcontroller has 14 digital input/output pins and 6 analog inputs. Up to 6 of the digital pins can be used for PWM Pulse Width Modulation. Most I/O pins are available via sets of female headers. SPI and I2C ports are also available. This microcontroller has 32 KB of FLASH, 2 KB of RAM and 1 KB of EEPROM. A mini USB port allows programming via the beginner friendly Arduino IDE. An ICSP In Circuit Serial Programming interface is also provided. Extra features include a set of 3 pin SVG Signal Voltage Ground male pin connectors for most of the I/O pins. These convenient connectors make it easy to use external modules by providing corresponding power connections with each major I/O pin. The power supply features an efficient design with a wide input voltage range from 7-23V. Power can be supplied via a DC power jack, the mini USB connector or the VIN pin. 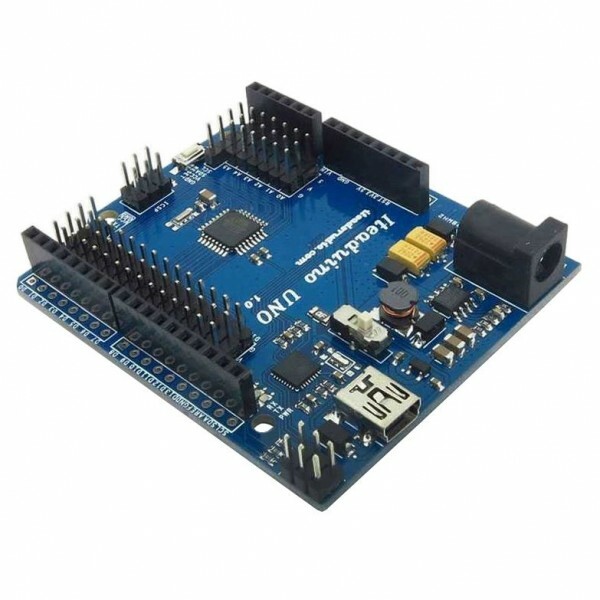 This microcontroller can be operated at 3.3V or 5V by the flip of a switch.